George Stubbs has long been considered Britain`s finest sporting painter for his meticulous examination of the equine subject. Born in Liverpool, Stubbs worked for his father's leather business until his mid-teens, when he embarked on his artistic career. Largely self-taught, he initially painted portraits in northern England before pursuing the study of anatomy in York. His fascination with the subject developed further in 1754, when he spent eighteen months dissecting horses in Lincolnshire. It seems this period provided vital inspiration and research for his 1766 landmark publication, The Anatomy of the Horse: a groundbreaking set of engravings lauded for its scientific approach and attention to detail. Following this achievement Stubbs received generous patronage from aristocratic sportsmen, and moved to the fashionable London district of Marylebone for the rest of his life. His patrons marvelled in his ability to portray sporting subjects with more refinement than the most highly respected predecessors in the genre, John Wootton and James Seymour. While all his contemporaries admired Stubbs's skill and innovative methodology, Stubbs's devotion to sporting art (which was considered a relatively insignificant subject in the hierarchy of genres during this period) meant that he never achieved full membership of the Royal Academy. During the second half of his career Stubbs diversified in an attempt to gain wider recognition. In particular he produced the famous Lion and Horse series, acclaimed for uniting classical subject matter with contemporary technique. This series reached a wide audience through its reproduction on ceramic plaques in a collaboration with Josiah Wedgwood during the late 1770s. One of his final projects, worked on from 1795, the Comparative Anatomy series was a set of drawings comparing and contrasting dissected animals and humans. This is one of the projects that placed George Stubbs at the cutting edge of art and science. Today Stubbs's place in art history is assured. 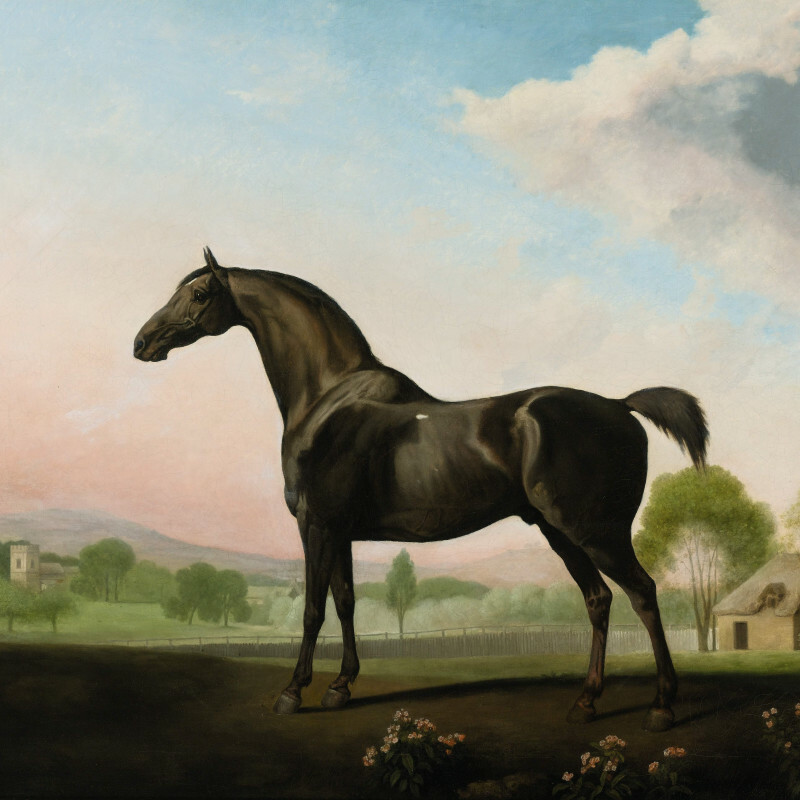 The world record for a Stubbs painting is £22,441,250, for Gimcrack on Newmarket Heath at Christie's in London (2011), and his works regularly reach over £1 million.